Details have emerged showing how the Chieftaincy of Military Intelligence (CMI) got involved in the investigations into the murder of Francis Ekalugar, the former Accountant of Case Clinic. Police opened up investigations shortly after Ekalugar’s burnt body was recovered from Kajjansi, a city suburb on January 3rd, 2018. Ekalugar was kidnapped and killed on January 02, 2018 on his way to bank Shillings 15 million. Police recorded statements from Ekalugar’s workmates and also analyzed the CCTV footage recovered from Case Clinic. Police picked up two security guards who were on duty when Ekalugar is believed to have disappeared but released them shortly. 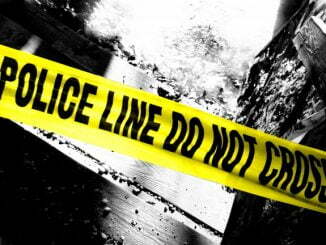 According to police sources, after analyzing the CCTV footage police investigators noticed that there were two Boda boda riders who tracked the deceased from the clinic. However, the police investigations stalled as police couldn’t trace the Boda boda riders but something happened about a week ago. It is alleged that an operative from CMI overheard someone in a bar talking about a man who had got Shillings 15 million from a deal just as the year begun. The operative, whose identity has been withheld for his own safety, pushed the conversation a little further and after a couple of beers, the source named Huzairu Kiwalabye, a member of Boda boda 2010 and brother to the Association chairman, Abdallah Kitatta. On getting this information, CMI tipped Kajjansi Police Station that Kiwalabye could have been behind the death of Ekalugar. As police detectives were busy trying to put the pieces together and get additional information that could place Kiwalabye at the crime scene, the Joint Anti-Terrorism Task force (JATT) where the CMI operative is deployed received orders to arrest Kiwalabye. A reliable source from JATT told this publication that things changed from one day to the other. “At first JATT was not interest in handling this matter then after a day or two, we were told that there were orders for us to trace and arrest Kiwalabye,” said the source on condition of anonymity. According to the source, JATT swung into action without notifying police and picked up Kiwalabye on Friday last week and dragged him to Mbuya for interrogation. Kiwalabye reportedly confessed his involvement in the kidnap and murder of Ekalagur and named his accomplices. Some of those mentioned included Muzamiru Mawa, the driver to Dr. Ssebale Kato, the Proprietor of Case Clinic, Kikandi Muhindo and David Bizimani, both Congolese nationals at whose residence Ekalugar’s was found. He also mentioned four other Boda boda riders. The information from the source is collaborated by revelations from the Defense Ministry, Deputy Spokesperson, and Lt. Col Deo Akiiiki. He told the media that the army acted on intelligence from a CMI operative. 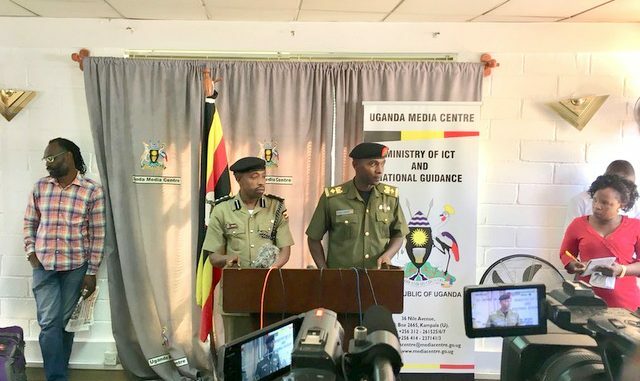 “We got intelligence information from a CMI operative working with JATT,” Lt Col. Akiiki told journalists at the government owned media center while explaining the UPDF involvement in the operations, which should have ideally been the work of police. “We didn’t know if the murder was a terror activity or if it was a threat to National security so we had to work together,” he said. According to the source, Mawa approached some of his friends in Boda boda 2010 including Kiwalabye with the deal. He reportedly told them how one of their accountants usually moves with a lot of cash to the bank. The group resolved to kidnap Ekalugar and rob him of the cash. On January 02, 2018, Mawa tipped off his accomplices that Ekalugar was moving money to the bank. Kiwalabye drove to the scene of the robbery in a super custom while four others tracked Ekalugar on motorcycles. Two of the cyclists deliberately knocked Ekalugar’s vehicle a Toyota Premio registration number UAW 899U adjacent to the Health Ministry headquarters in Wandegeya. Ekalugar reportedly moved out of the vehicle to check on the damage. Two of the suspects intercepted Ekalugar as he was returning to his vehicle, and dragged him to super custom that has parked nearby. One of the riders took charge of Ekalugar’s vehicle and sped off to Kabowa. Ekalugar’s body that was burnt beyond recognition was recovered the next day from a bush in Kajansi. Six of those who were part of the robbery and subsequent killing of Ekalugar are under police custody. Four other suspects are still at large. According to the source, Kitatta who also doubles as the Lubaga National Resistance Movement (NRM) party chairman and a close confidant of the Inspector General of Police, Kale Kayihura, got involved in the case after the arrest of his brother. 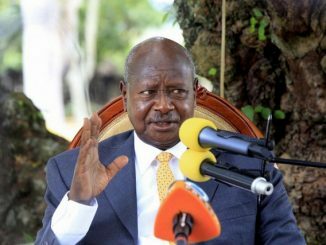 Trouble for Kitatta started when he appeared on Top Radio and started mobilising members of Boda boda 2010 to push for the release of his brother, despite the fact he wasn’t aware of why he had been picked up. Kitatta reportedly made threatening statements against the army and the state, prompting Military Police to raid the station and pick him up. Some members of Boda boda 2010 attempted to put up resistance but were contained by the military Police officers. The officers also raided the officers of Boda boda 2010 to conduct a search, but met some resistance leading to several arrests bringing the number of suspects to 28. During the joint press conference held on Monday, Police spokesperson, Emillian Kayima, said they were scrutinising the suspects. “Whoever will be found culpable will be held to account,” he said. The arrest of the members of Boda boda 2010 has drawn excitement among rival boda boda factions, which accuse the group of mistreatment and torture. 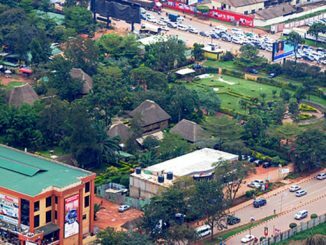 On Monday, members of the rival factions raided the offices of Boda boda 2010 in Natete, Wakaliga and Bakuli and destroyed property. At least 14 suspects were picked up by police in connection to the attacks and destruction of property. Police also impounded 45 motorcycles left behind some of the riders believed to have been behind the attacks.